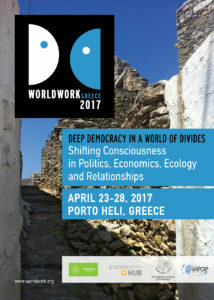 Processwork facilitators in Greece, the Processwork Hub and AKMA, organize the Worldwork 2017 seminar in Greece, from April 23 to 28, 2017. 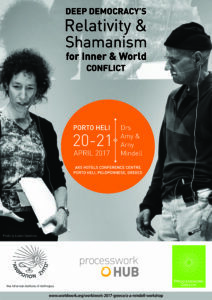 The Worldwork seminar is an experiential training seminar in conflict work, facilitation and community building. It presents methods for facilitating groups at every level of interaction. Participants learn skills applicable to individuals, relationships, sub groups and the large group.The seminar provides a unique opportunity for people from around the world to come together in a powerful forum for focusing on and working with social, environmental, and political issues using group process, relationship and innerwork skills. By bringing awareness to the many parts and dimensions of experiences in any conflict, opportunities emerge to transform communities locally and globally. Its orientation is at once personal, political, and spiritual. 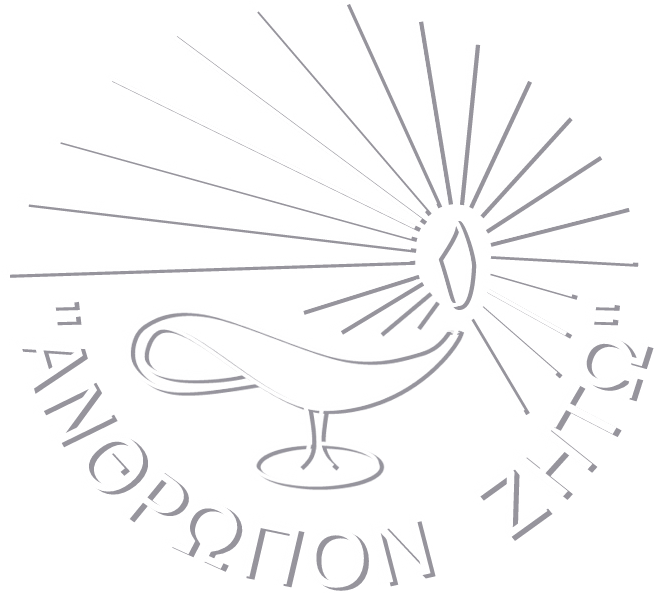 With tensions escalating worldwide, we invite you to come together in Greece, from all around the world, to connect across and through our differences. Over the last six years, Greece has been subject to a financial crisis. This crisis has brought radical changes in people’s lives. A massive rise in unemployment, homelessness, and a slow dismantling of the healthcare and education systems, are some of the pragmatic consequences of the crisis. Issues around racial tensions, national identity, economic inequality and environmental disasters are dominant in the news around the world. The BRexit vote shook Europe during this past summer, along with the rise in xenophobia and Islamophobia, wars around the world are creating millions of displaced people and the refugee crisis seems to be escalating with thousands drowning in the Mediterranean sea trying to reach safety. Daily News is filled with examples of democracy not working well. That is why we developed “Deep Democracy” in the 1980’s to work with real world issues, using activism, as well as inner experience and outer signal awareness. Now, in this seminar, we increase the application range of Deep Democracy for inner and world conflict work, with Einstein’s “General Relativity”, (using light, and the curved nature of space+time). We will show in a simple way, how this involves shaman Don Juan’s “Death Walk” + Mythic Joseph’s “Coat Of Many Colors” (Shaman is a term from northern Asia or North America for a person connected to the spirit world).